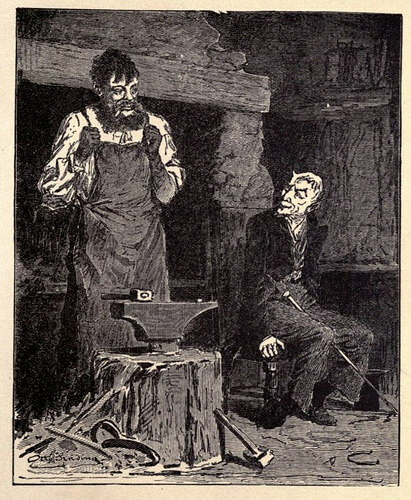 The Smith and the Devil – Russian folk tale or something much older? In the 19th Century, authors the Brothers Grimm believed many of the fairy tales they popularised were rooted in a shared cultural history dating back to the birth of the Indo-European language family. Later thinkers challenged that view, saying some stories were much younger and had been passed into oral tradition having first been written down by writers from the 16th and 17th Centuries. It also used a tree of Indo-European languages to trace the descent of shared tales to see how far they could be demonstrated to go back in time. Dr Tehrani said Jack And The Beanstalk was rooted in a group of stories classified as The Boy Who Stole Ogre’s Treasure, and could be traced back to when Eastern and Western Indo-European languages split more than 5,000 years ago. Tale telling around a camp-fire must have been one of the major contributors for the evolution of language. But what is a little surprising is that the oral tradition can be so persistent, and for so long. That suggests that orally transmitted tales from ancient cultures should probably be given much more weight. The origin of many concepts, which are often dated to the beginning of written records, are probably much older than thought. This entry was posted on January 20, 2016 at 10:41 am and is filed under Language, Literature. You can follow any responses to this entry through the RSS 2.0 feed. Both comments and pings are currently closed. 1/ strong correlations between the distributions of a number of folktales and phylogenetic, but not spatial, associations among populations that are consistent with vertical processes of cultural inheritance. 4/ stories told in ancestral societies can provide important insights into their culture, furnishing new perspectives on linguistic, genetic and archaeological reconstructions of human prehistory. It is a shame that journalists speak english only and / or may not do real researches for their paper!